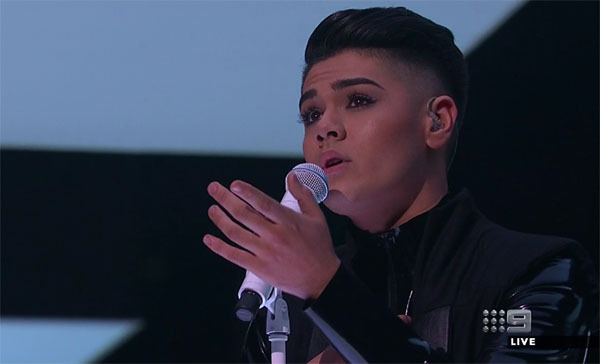 Sheldon Riley from Team George sings “Young and Beautiful” on The Voice Australia 2018 Grand Finale on Sunday, June 17, 2018. “That was your best performance since the blinds. That was may favorite performance on the show you have done,” said Delta. “I think you brought the drama tonight,” said Joe. “Sheldon is absolutely spectacular tonight,” said Kelly. “When I watch you sing, I cant stop starring at you. You are just so now,” said George. What can you say about Sheldon Riley’s performance? Share your comments and views on the discussion box below.